A robust, compact 32cm width electric lawn scarifier and aerator. 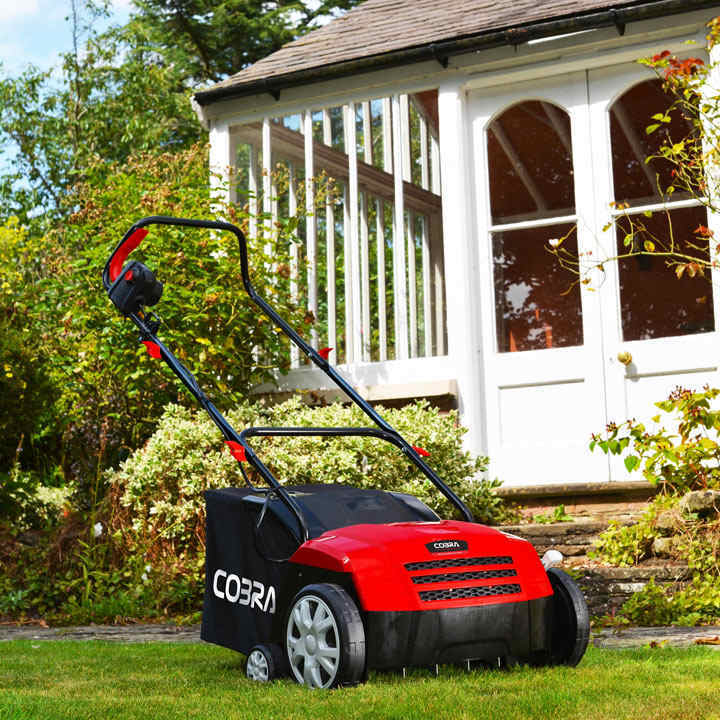 the SA32E is ideal for using in the spring and autumn to remove moss and thatch which has built up on the lawn. The cylinder/drum can be changed over to a bladed aerator which cuts through the lawn helping to release/loosen compacted soil. If the soil is too compact moisture and nutrients will be unable to penetrate down to the grass roots so they won’t thrive. Any material released by the scarifying or aerating process will be collected into the 30ltr fabric debris bag. This SA32E model is powered by a 1300w motor. To switch from the scarifying tines to the bladed aerator just change over the included drums. This is a very simple operation which can be achieved quickly. The aerator uses a 12 bladed drum and the scarifier a 36 tine drum. The working depth of the machine can also be adjusted with a single lever to 4 settings from -9mm to +4mm. 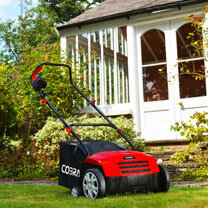 Cobra provide complete peace of mind with a 2 year warranty.